Ever had your wastegate line blow off?Wastegate fail?Ever just set something up wrong and blew an engine?Me either.But that sure as heck doesn’t mean I am gonna sit around and wait for it to happen! I have designed an overboost protector around a Hobbs pressure switch.What this system does is turns off the power to your coil when desired “overboost” setting is reached.What you do is set the Hobbs switch slightly higher than your boost setting on your wastegate, EBC, MBC whatever.Once that pressure is reached due to a boost control failure, bam, coil is turned off.And as we all know, an engine needs Air, Fuel, Spark and Compression to run.IF you take away spark, the engine CANNOT create boost or run any longer.The beauty is, once you go back below that set “overboost” setting on the Hobbs switch, power is back on.Now your car drives like normal again so you can drive it home and find out what went wrong.It is so simple, I can’t believe I haven’t seen it before.So anyways, on to how I went about doing this. -One Hobbs pressure switch.Sold at most forced induction related sites, as they are very popular with many many setups/kits. 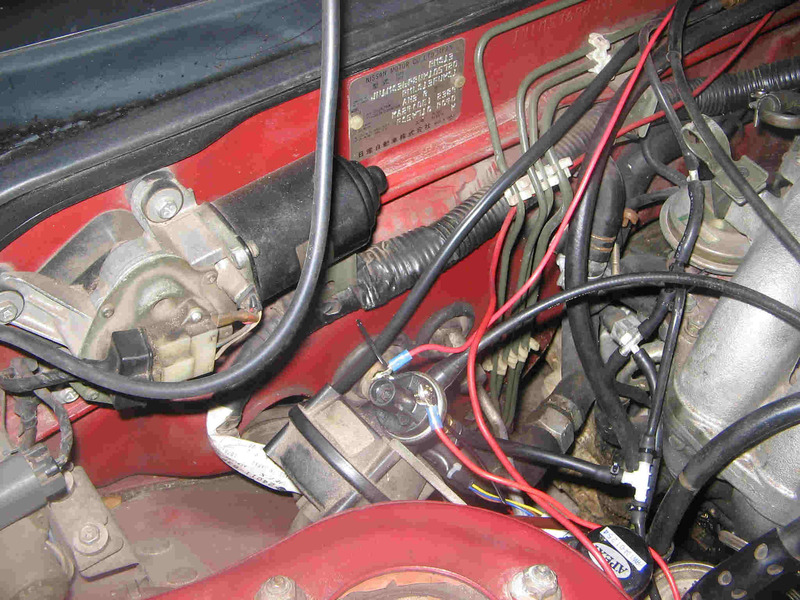 -*S14 owners only*-you will prolly need more 16 gauge wire to run due to the location of your positive coil wire. -A multimeter.I used this so I could set my Hobbs switch up with my air compressor.Use the Ohm setting and alligator clip the probes onto each connector of the Hobbs switch.Then just adjust the screw so you get resistance only past desired boost level. Number one:Clip your stock positive coil wire(black with red stripe on both S13 and S14.S14 guys, you will have to look near the distributor cap to find it/and prolly have to run a little more wire to wherever you choose to mount the relay) and strip both ends.Run the ECU side of the coil wire to pin 30.Run the coil side of the positive ignition wire to pin 87a.Solder on that 16 gauge piece of wire to pin 85 or 86(doesn’t matter as the relay coil is not polarity sensitive.Make a small “jumper” out of a piece of 16 gauge wire and run it from pin 30 to pin 86 or 87(doesn’t matter as the relay coil is not polarity sensitive). 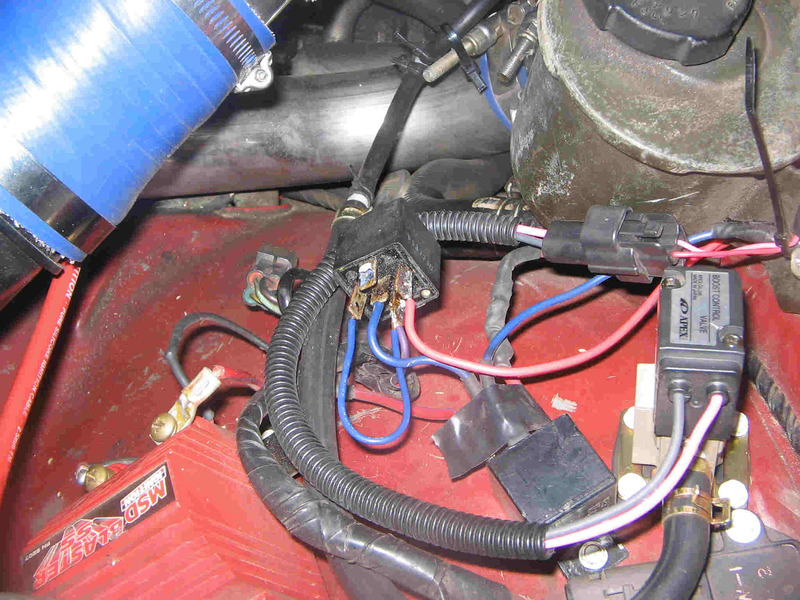 Number three:Find a good ground point.Run some 16 gauge wire to that point and ground it using a crimp-on connector.I used whatever that ground is on front of the passenger side wheel well.Sand the contact point well. 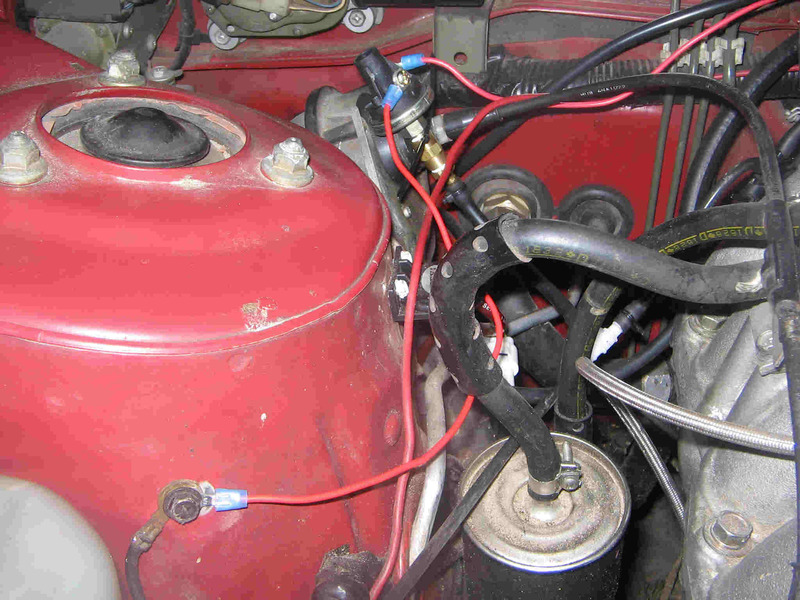 Number four:Tap into a good boost source.FPR line is probably your best bet. 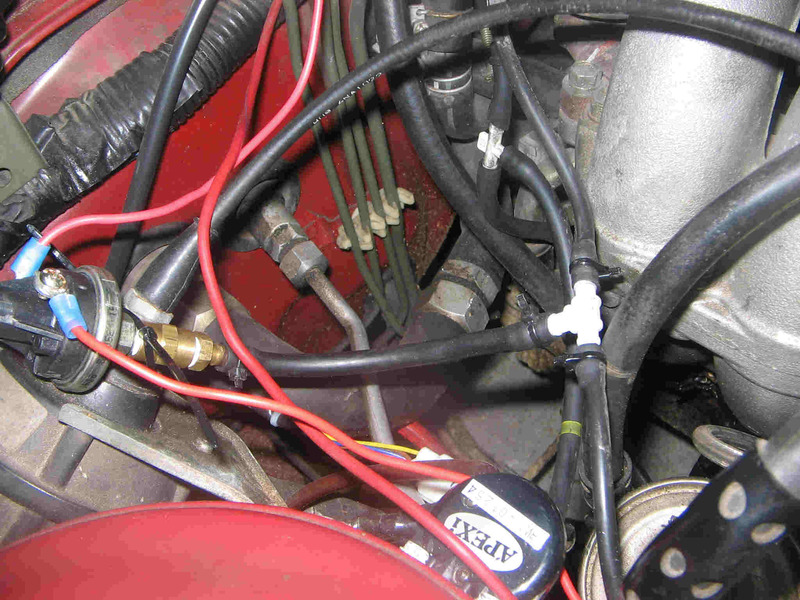 Number five:Crimp the connectors onto your ignition tap wire and the grounded wire and connect them to your Hobbs switch. Number six:Remove that rubber plug on top of the Hobbs switch and tune it.I removed the vacuum line from the intake manifold and used an air compressor.But in order to do this, you must have a multimeter and use the method I described above.If not, you will more than likely need to do trial and error. I tested this with the limit at about 7.5psi and it definatly works.Feels just like your engine had no spark. But as soon as boost drops below that, the engine comes right back on and runs normal.So, unlike common “pop off valves”, you will NOT have an abnormally rich condition on the way home to replace your wastegate line.And this is ADJUSTABLE!!! Before you boost away, try jumping the Hobbs switch terminals to see if the car shuts off and that you did everything properly.Just touch each end of a small piece of wire to each terminal on the Hobbs switch while the car is running to make sure it shuts off.If not, then this is useless to you still and you made a mistake somewhere. I set mine at about 15psi and I run 12psi most of the time.So, if a wastegate line ever blows, I’m ready!